Gaza - Israeli occupation troops shot and killed two Palestinian teenagers on Friday as thousands held demonstrations along the perimeter fence separating Gaza and Israel. 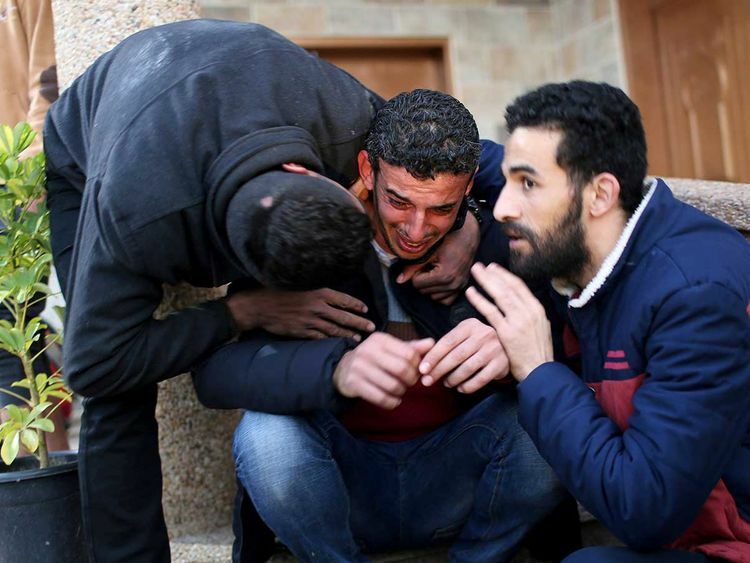 Hassan Shalabi, 14, was shot in the chest at one protest site in southern Gaza Strip and Hamza Ishtiwi, 18, was killed at a protest in east Gaza City, the Health Ministry said. He was hit with a bullet in the neck. The ministry added that 17 other protesters were wounded. Friday’s protests drew thousands of Palestinians who gathered at five locations along the fence, throwing rocks towards the Israeli occupation forces stationed behind the frontier. The Israeli regime troops responded with barrages of tear gas and live fire. The protest campaign has become a weekly event. They have seen the death of about 190 Palestinians and an Israeli occupation soldier.